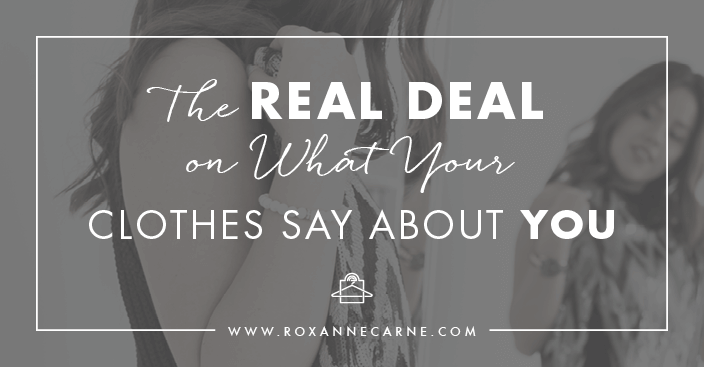 It’s no secret that the clothes you wear affect your behavior, attitude, personality, mood, confidence, and even the way you interact with others. This is called enclothed cognition. 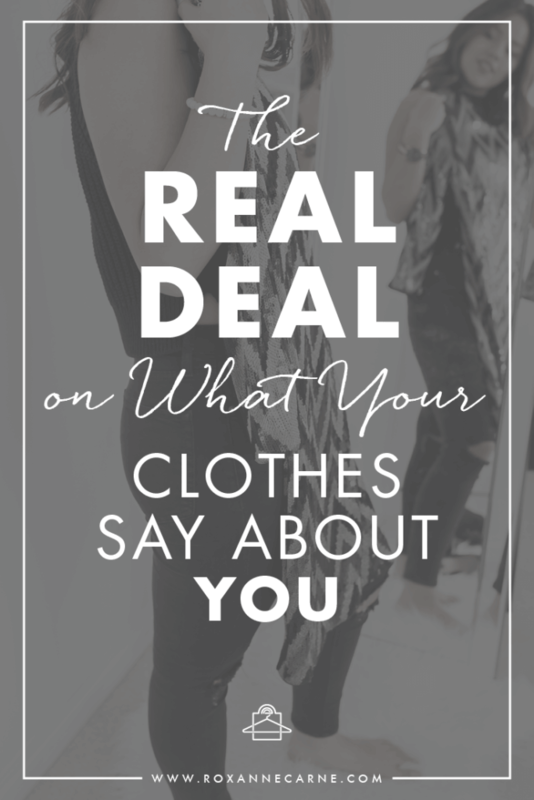 But let's be clear…your clothes don't define you nor do they determine your value as a person. You are lovely no matter what you wear – please know that! And if you find yourself conflicted between wanting to look great and feeling guilty about focusing on clothes, that's ok. Those are normal feelings. Just know you can feel good in your clothes without breaking the bank or spending hours putting together an outfit. The clothes you choose can, however, affect how you are perceived by your peers and coworkers. Perception is too often reality, and your clothes act as a communication tool. Did you hear that? And according to the author of You Are What You Wear: What Your Clothes Reveal About You, Dr. Jennifer Baumgartner says shopping and spending behaviors often come from internal motivations such as emotions, experiences, and culture. You look at shopping or storing behaviors, even putting together outfits, and people think of it as fluff. But any behavior is rooted in something deeper. I look at the deeper meaning of choices, just like I would in therapy. Your clothes represent a great deal and communicate socially important things to others. If you're dressed in yoga pants and a t-shirt, others will naturally assume you're headed to or from a workout (or perhaps that you couldn’t be bothered to wear anything else!). If you're wearing a blouse, structured skirt, and heels, others will presume you are a professional and work in a corporate setting. Blogger, and social psychologist, Gauri Sarda-Joshi suggests there’s a reason tailored jackets are associated with being ‘dressed for success’. She says that wearing formal office wear and structured clothes puts us in the right frame of mind to conduct business. Wearing power clothing makes us feel more confident [possibly because we call it power clothing], and even increases hormones needed for displaying dominance. This, in turn, helps us become better negotiators and abstract thinkers. It makes sense to dress appropriately for the social situation. You are training your brain and influencing your attitude! You won't get a good workout in formal clothes, and you won't convince your corporate boss of much in yoga pants, right? Feeling cranky, sad, or upset? If you're going through a breakup, are feeling depressed or anxious, you may notice a change in your wardrobe choices…sweatpants and hoodie? Yes, please! Your mental state directly affects the way you dress. But if the way you think and feel affects the way you dress, is it possible the opposite is also true? While baggy, boring clothes can signify that you’re a bit down and out, swapping them for cheerful, brightly colored clothes can offer an instant boost to your mood and energy. Even if you're moping around the house, try a bright yellow hoodie instead of a dull grey one. And remember that time your friend dragged you out of the house and said, “Get dressed up! You'll feel better!” And it worked?! So, the next time you are tempted to match your clothing to your mood, try the opposite and see what happens! Throw on some happy colors and see if it lifts your spirits. And put on some power clothes when you need to lay down the law at work. Yes, yes, yes!! There's a real connection between clothing and mood. By deliberately wearing clothes that evoke positive feelings (or even better, clothes that make you look fantastic), you will feel happier. And feeling happier will promote positive interactions with others, and improve how you feel about yourself! It's sooooo easy to fall into the habit of sartorial laziness. You may believe your sunny disposition will make up for the pills developing on your clothes — it's wishful thinking, but it's not true. What you wear speaks volumes. Dressing to impress really is worthwhile and could even be the key to your success. I firmly believe this and literally preach this to my clients all the time! Changing up your clothes is an easy way of changing the impression others have of you — and how you feel about yourself. Make note of the clothes currently in your closet — like the styles and patterns. Pay attention to your shopping habits…do you consistently buy the same “type” of clothes? When you've identified your own style archetype(s), you can make a real change…you can start buying clothes that match the new and improved you! And remember, the next time you reach for an item from your closet, ask yourself how it will make you feel and whether it’s socially appropriate. Are you heading out for a casual picnic — yoga pants-appropriate. Or will you be commanding the attention of creatives at the office — structured suit-appropriate. And always wear clothes that fit you well and are flattering. You are a gorgeous and confident woman…DO NOT hide behind baggy clothes. Not sure what clothes are the most flattering for your figure? Or whether your current wardrobe matches your personality and lifestyle? Or maybe you spend far too long putting together an outfit because your clothes are so mismatched…you aren't alone! As a Personal Stylist, I want you to feel your best! I can help you save time and money by providing you with the tools to properly assess the best way to dress for your body type and take the guesswork out of pulling together extraordinary looks that work just for YOU. Organized closet full of clothes that I love? Check! Feeling confident about my outfits every day? Check! Owning the room wherever I go because I look THAT good? Check! Do YOU want to feel that way? Are you finally ready for that transformation? Let’s start that style journey together. Let's face it – your image matters! You deserve to have a wardrobe you adore, feel confident in and allows you the freedom to express who you really are. Feeling attractive and confident in every situation comes from a combination of knowing your style preferences and learning how to dress for your body type. And that’s what I want for YOU…to help you take pride in how you look. To own the room. And that all begins with signing up for The RC Style Guide. It’s a fun and interactive monthly subscription-based membership where I teach you everything I know about transforming your look. It’s inexpensive, personalized, fashion advice. 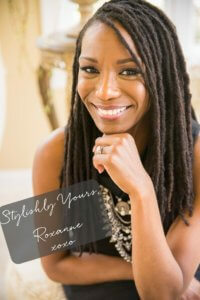 To get all these great tips, and get set up for style monthly, all you need to do is head over here to register. Don’t delay – sign up today and start loving your image right away!